Often being regarded as the ‘Queen of spices’, cardamom is one of the most expensive and beautifully perfumed spice in the world. 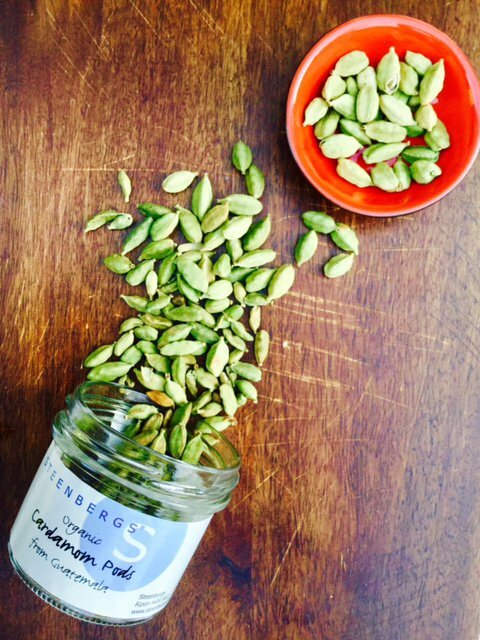 Originating from India, both the seeds and pods give a very pleasant and warming flavour. Cardamom has also traditionally been one of the key ingredients in Ayurveda and Chinese medicine. It has been linked to helping with gum infections, throat problems and even inflammation of the eyelids. Cardamom also works so very well in hot beverages. From cracking a few pods into black loose leaf tea to a golden chai latte. 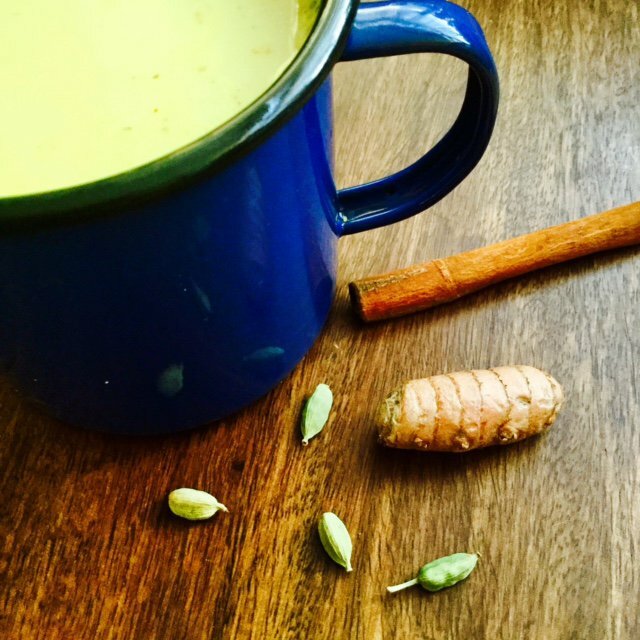 All you need to make two cups of this warming drink includes 2 cups of unsweetened almond milk (coconut milk is a great alternative for a more creamier base), 1 cinnamon stick, ½ a teaspoon of organic Fairtrade turmeric, 6 cardamom pods, crushed and 1 tablespoon of date syrup. Simply heat the almond milk (or milk of choice) and pop in the cinnamon stick, ground turmeric and cardamom pods and stir occasionally. Once it has come to a simmering point, add in your date syrup and strain off your milk with a mini sieve, pouring into your cups. Enjoy right away. Tip: Make sure you store your cardamom pods in a cool dry place and away from direct sunlight as this can weaken its beautiful and warming aroma. nikibakes has been blogging for over 10 years and has a passion for gluten free and dairy free recipes. She's a Persian chef who loves all things spice and particularly enjoys Asian and South American cuisine. She's always on the lookout for fresh and delicious flavour combinations and uses our spices daily in her cooking and on her blog.